I'm terribly sorry for the late notice -- the finals rush has taken hold and is taking me away from my blogging duties. Posting will be light for a few weeks, but I'll try to keep you as well informed as possible. 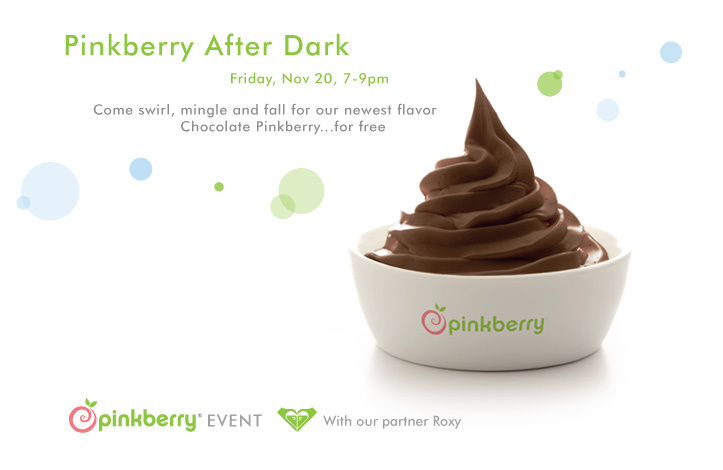 Friday, November 20th from 7-9pm Pinkberry will be giving away its newest flavor: Chocolate Pinkberry. Frankly, I'm a bit skeptical about tart Chocolate frozen yogurt... but those of you who have read my other posts know that I'm a sucker for Pinkberry. I have read the frozen yogurt has hidden gluten in it. 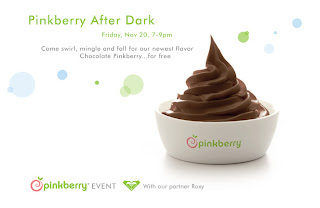 Is Pinkberry ok? I love froyo but stopped eating it because of this.